A Belle's Tales: Happy Spring Break! Hi, everybody! It's time for spring break where we live, and we will be totally unplugged and away from civilization. We haven't been around much in the last week due to school and illness. A huge thank-you for everyone's emails and sweet well wishes to Mom. She's doing better now and looking forward to reconnecting with everyone! We'll be back on the 18th with reviews and a special new feature that we can't wait to share with you all! I have been off the blog too. I didn't realize MIchele had been ill. Hope you are on the mend and that you two lovelies are having a wonderful Spring Break! 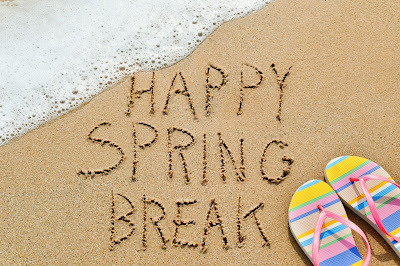 aww awesome :D enjoy your spring break! !